A great new resource for writers will be published next month by Writers Digest. 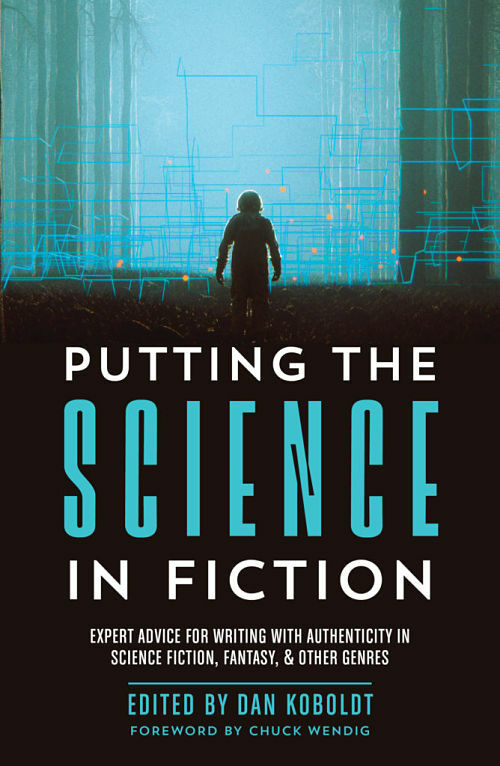 Putting the Science in Fiction is a fabulous collection of articles about scientific topics of interest to authors. Topics are wide-ranging and include biology, medicine, computer science, geology, and space travel, among others. Each article is written by an expert in the field, many of whom also happen to be writers. The collection is edited by Dan Koboldt, and is based on his popular Science in Science in Sci Fi, Fact in Fantasy Blog. While many of the articles in the book are similar to the blog posts, they’ve all been expanded and updated for the book, plus there are some new articles as well. Best of all, New Zealand makes a great showing in Putting the Science in Fiction; four of the 59 articles were written by Kiwis! Christchurch-based authors Judy Mohr and Robinne Weiss each contributed two articles to the book. Way to go NZ! Putting the Science in Fiction is available for pre-order now, and will be released on 16 October.